Given its roots in the West of Ireland, it is no surprise that landscape is central to much of my work. 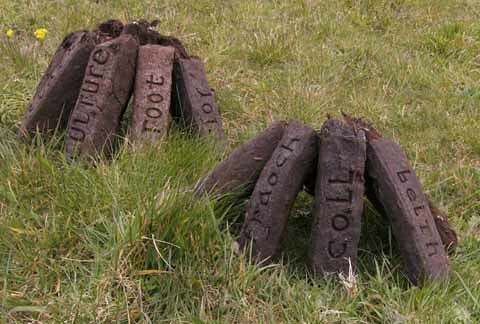 The Townlands Project, was begun in the Spring of 2009, in collaboration with my partner and fellow artist, Gypsy Ray, as a creative exploration of the landscape where we both reside, speci?cally the nine townlands of the old civil parish of Rathcoole in north Kilkenny. Its focus to date has been primarily on the “vernacular” history of the parish ?elds, their form and use, along with the names and stories by which they are still remembered. 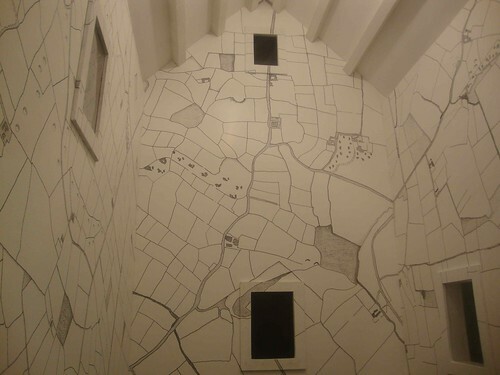 The overall goal of the project has been the re-presentation of local place to and by local people, using creative means for the exploration, distillation, and expression of its folklore, history and contemporary landscape. The project is an in-depth exploration of a particular landscape as an inhabited and working environment. How does one, as a newcomer to a landscape, set about its exploration and celebration? By the simple processes of reading, field walking and neighbourly conversation, of hearing the place-names and their associated lore, of looking and listening closely. Out of this shared work over several months an exhibition was installed in Johnswell Hall, the parish hub, as part of the Visual Arts Programme for Kilkenny Arts Festival 2009. This exhibition, in the purposefully darkened hall, comprised large format black and white photographs of the parish landscape, its monuments, farms, and fields. Also, glowing like a beacon in the dark, was an internally lit sculptural installation of a small house. Through its small window opes one could see inscribed on its internal walls maps of the local townland. 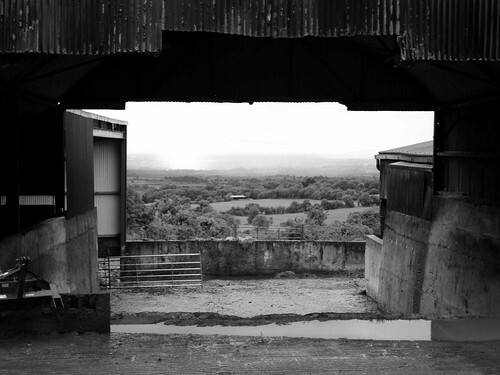 In addition, Gypsy exhibited drawings and a photographic series on the last days of the old Kilkenny Livestock Mart . During 2010 the project received welcome support from the Heritage Forum of Kilkenny County Council and a great deal of work was achieved in the recording of local place names and the gathering of oral histories relating to the local parish. In addition to its heritage component the project also facilitated the engagement of Barnstorm Theatre Company along with an artist-in-residence process at the local National School resulting in a small collaborative public art work and the performance of three plays based on the Bealoideas/Irish Folklore Commission’s Schools’ Initiative of 1937 in the same school. Another exhibition was held in Johnswell Hall in which Gypsy showed more drawings and a short film based on local field names was screened. 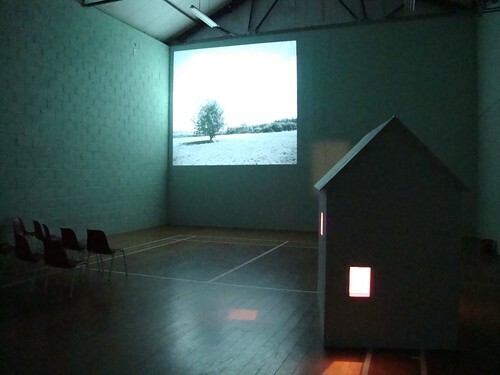 2010 also saw the staging of a seminar in Johnswell Village entitled The Landscapes of Home. Participants in this seminar were invited to express their reflections on the uniqueness of their own home landscapes and the participants included the poet and novelist Kerry Hardie, the poet Carmel Cummins, author and travel writer Dervla Murphy and the historical geographer, Professor Patrick J. Duffy. 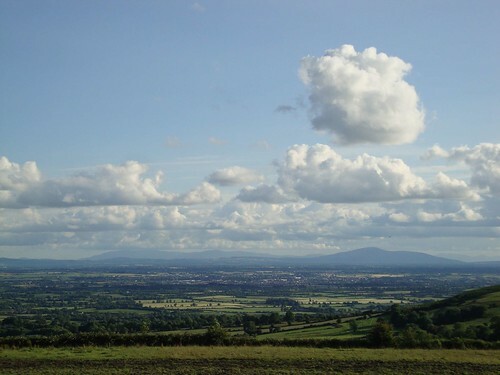 Extracts from the seminar presentations can be read on the townlands website : www. townlands.net (see links above) where a great deal more can be learned about the project. 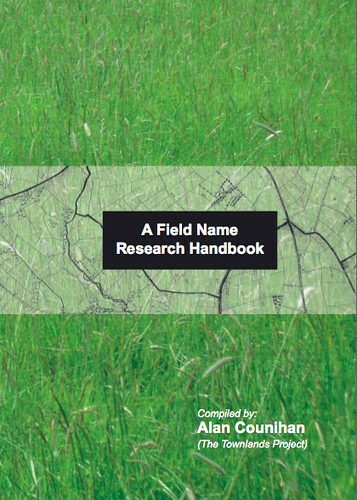 2011 saw the development and publication of a Field Name Research Handbook. This handbook offers practical advice on the gathering and archiving of place names, possible funding sources and will hopefully prove a valuable tool for all those interested in the exploration of their local landscapes. The handbook can be downloaded in pdf format from the Townlands website. The Townlands Project is ongoing and both Gypsy and I continue to create works in response to our landscape and communal interactions. In 2011 the Townlands Exhibition was shown at the Courthouse Gallery in Enistymon, Co Clare and more exhibitions are planned for 2012. In 2012 it is intended to document the entire project in a full-colour publication.